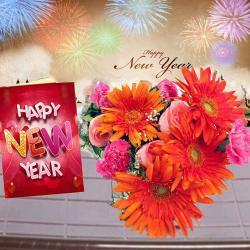 Product Consists : Glass Vase arrangement of 15 Mix Roses with some fillers along with New Year Greeting Card. 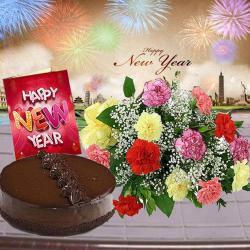 Enliven the New Year celebration of your loved ones by pampering them with beautiful gifts from Giftacrossindia.com. We here have this marvelous combo that comprises of a designer glass vase filled with long stemmed freshly picked roses in mixed colors like red, pink, yellow and white. 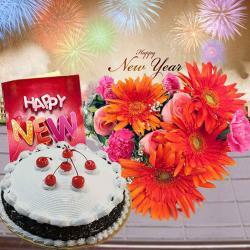 It also includes a classy New Year greeting Card that is full of New Year wishes for dear ones. 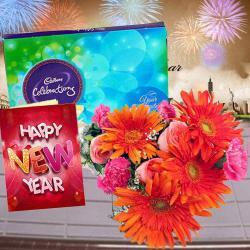 So go ahead and make it a memorable celebration for your loved ones by sending them such thoughtful gifts. 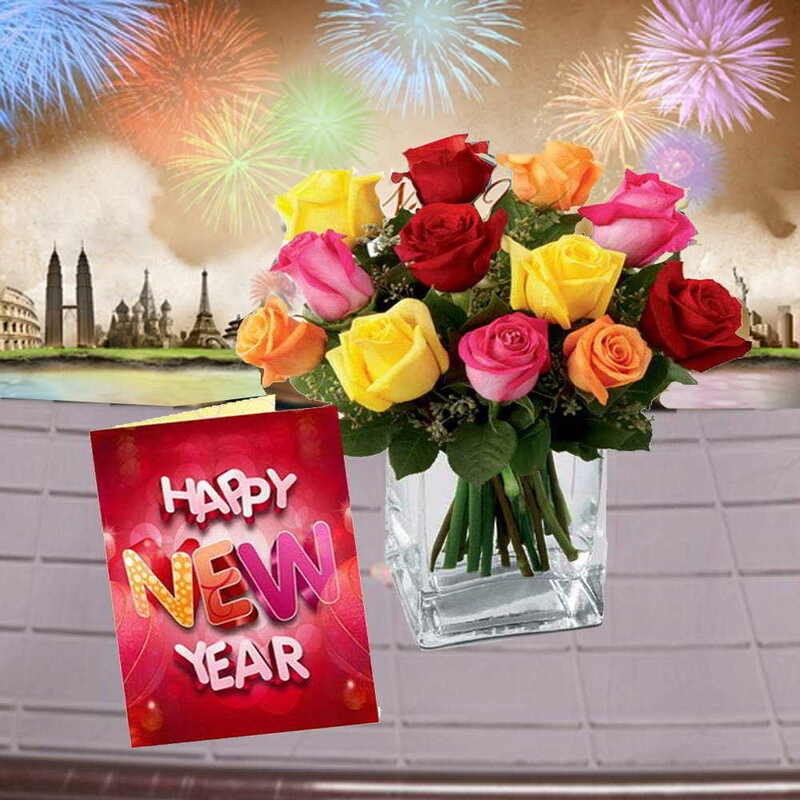 Product Consists : Glass Vase arrangement of 15 Mix Roses with some fillers along with New Year Greeting Card.